PrimaDonor Members are a dedicated circle of donors who share our passion for delivering exceptional theatre productions, educational programs, and community events. 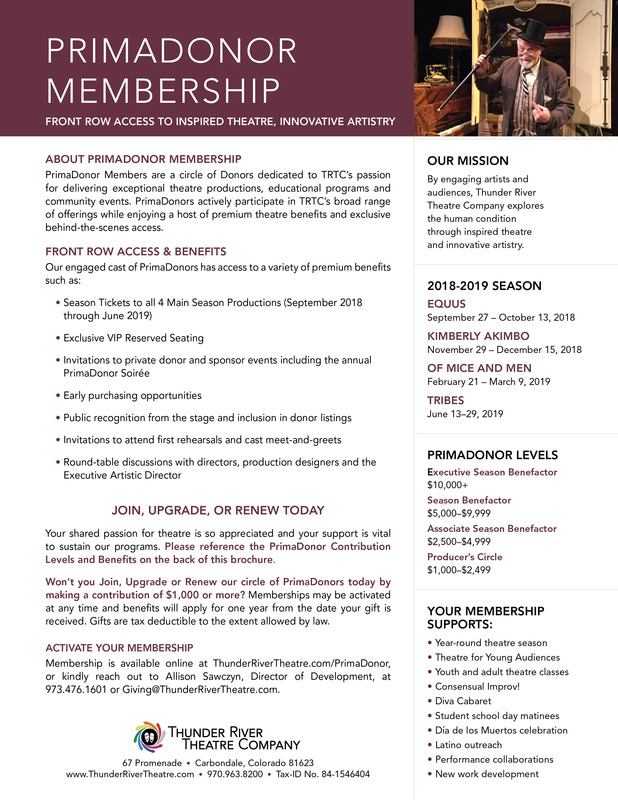 PrimaDonors actively participate in TRTC's broad range of offerings while enjoying a host of premium benefits and exclusive behind-the-scenes access such as exclusive VIP Reserved Seating, invitations to private donor and sponsor events, round-table discussions with directors and designers, and more. Your PrimaDonor Membership may be activated at any time and benefits apply for one year from the date your gift is received. Gifts are tax-deductible to the extent allowed by law. Visit our Donation Page Online> *please review benefits before continuing.